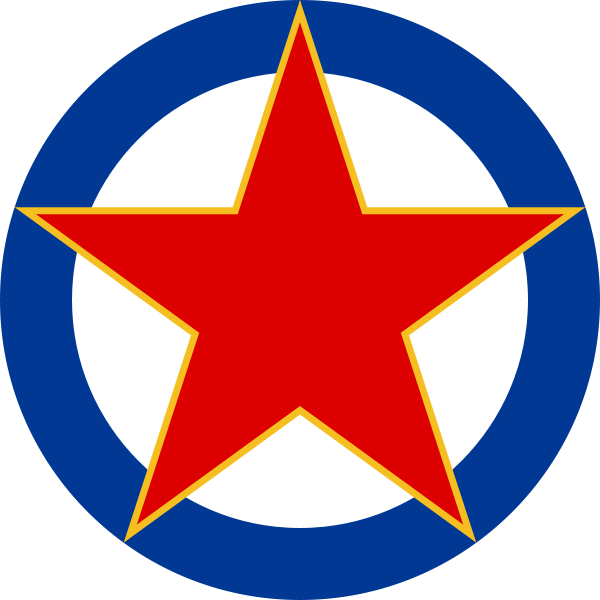 The communist Yugoslav Air Force (Jugoslavensko Ratno Vazduhoplovstvo – JRV) was officially formed on January 5th, 1945. The JRV originated from British and Soviet trained and equipped air units operating in support of the Josep Broz Tito led communist partisan liberation of Yugoslavia from Axis control during World War Two (April 6th, 1941 to May 15th, 1945). 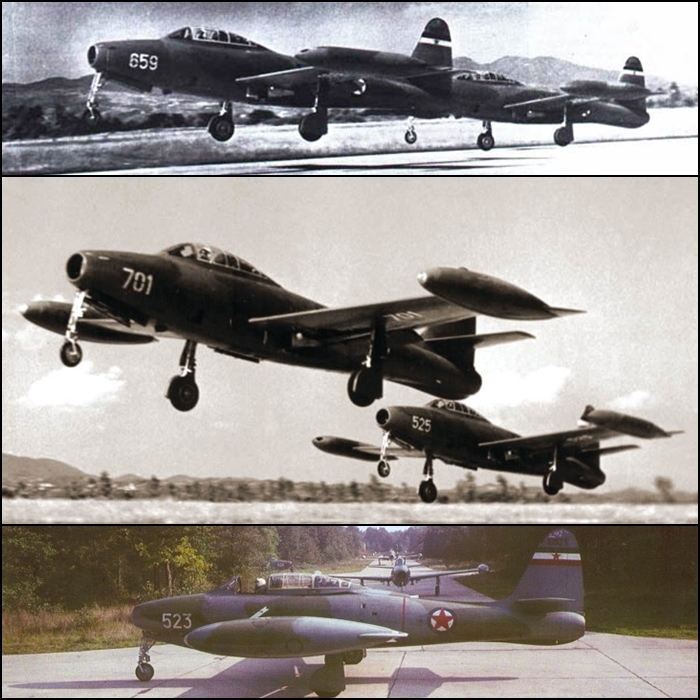 In the post war period, Yugoslavia was primarily equipped with combat aircraft provided by the Soviet Union including large numbers of World War Two era Yakovlev Yak-3 and Yakovlev Yak-9 fighters with Ilyushin Il-2M3 Sturmovik ground attack aircraft and Petlyakov Pe-2FT/UP-2 light bombers. The JRV was also organised in much the same structure as the Soviet Air Force. In June 1948, communist Yugoslavia had a major change in international relations and broke away from ties with the Stalinist Soviet Union who were trying to exert more control in the defence affairs of Yugoslavia (although post war Yugoslavia had reduced the size of their army, the Soviets wanted them to maintain just a small army and rely on the Red Army to defend their nation. Yugoslav leader Tito was not keen on the offer made and didn’t like Soviet meddling especially with the attempt to recruit spies, agents etc. within the Yugoslav Army!). Josep Broz Tito had his own plan for Yugoslavia and was not going to be forced to follow the Soviet lead. As a result the Soviet Union under direct order from Joseph Stalin put the nation under intense political pressure, removing military advisors, banning Yugoslavia from the international association of socialist states, enacting a trade embargo and cut off the supply of aircraft, spare parts, supplies etc. 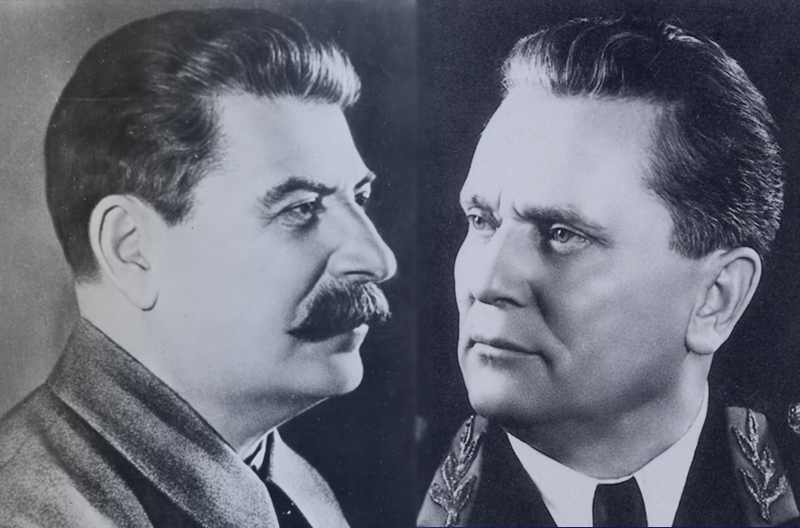 Joseph Stalin & Josep Broz Tito – One ideology with two very different opinions! The threat of a possible Soviet invasion was feared right up until 1954 (Tito himself took on the role of Minister of Defence up until 1953 to maintain full control of the nation and the army was greatly expanded! 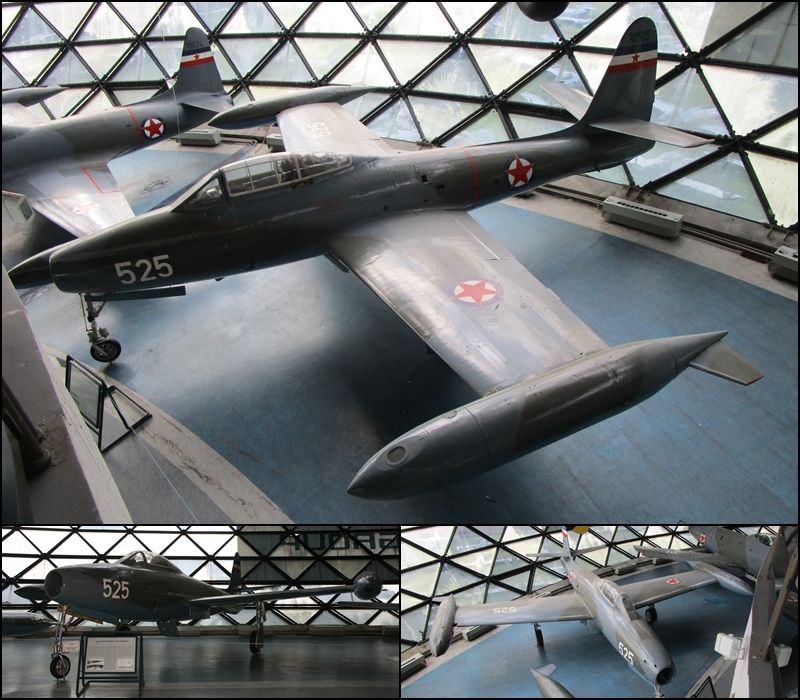 ), so in the early 1950’s this lead to the development in Yugoslavia of the home-grown Ikarus S-49 fighter and the acquisition of de Havilland Mosquito FB.Mk.VI and Republic F-47D Thunderbolt fighter-bombers from Great Britain and the United States to boost the operational capability of the JRV which was starting to experience aircraft serviceability problems. 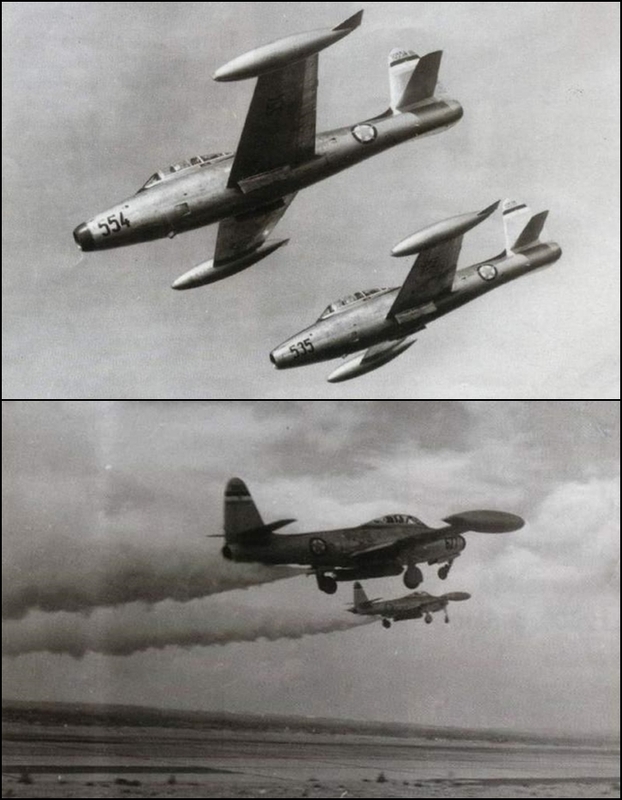 Please see my previous post for more details on the Yugoslav Air Force during the period of 1941 to 1952. US President Harry S. Truman supported an independent Yugoslavia as it was in the best political interests of the United States too keep the Soviets out of that region of the Balkans. The United States and western allies were generous in providing around a billion dollars in military and economic aid to Tito in the 1950’s to drive Yugoslavia and the Soviet Union further apart. Despite the intentions of the United States, Yugoslavia maintained a non-aligned international status. 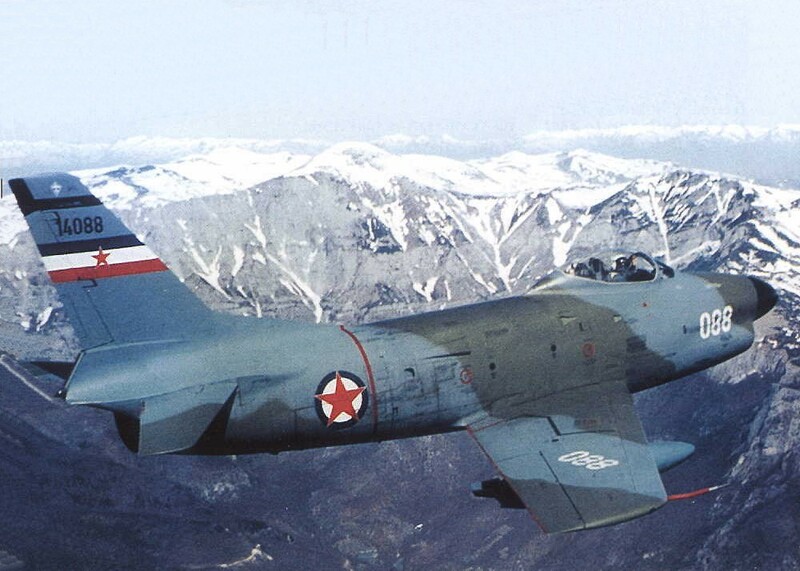 In 1953 Yugoslavia entered the jet age with the supply from the United States of 219 Republic F-84G Thunderjet fighter bombers (operated until 1974. 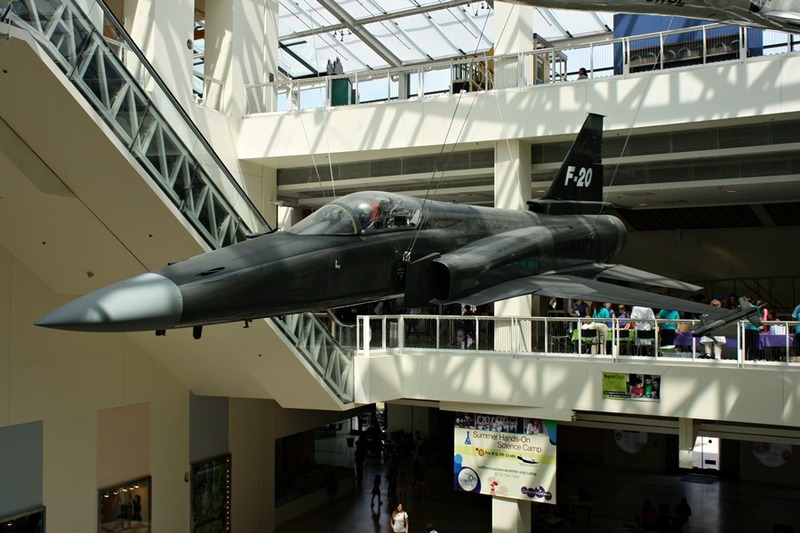 The majority were former USAF aircraft with a number also later sourced from Greece) and 33 Lockheed T-33 Shooting Star trainers to transition pilots into flying the new jet fighters (Yugoslavia ended up operating over 120 including RT-33 recon in 1955 and the US Navy TV-2 variant in 1961. 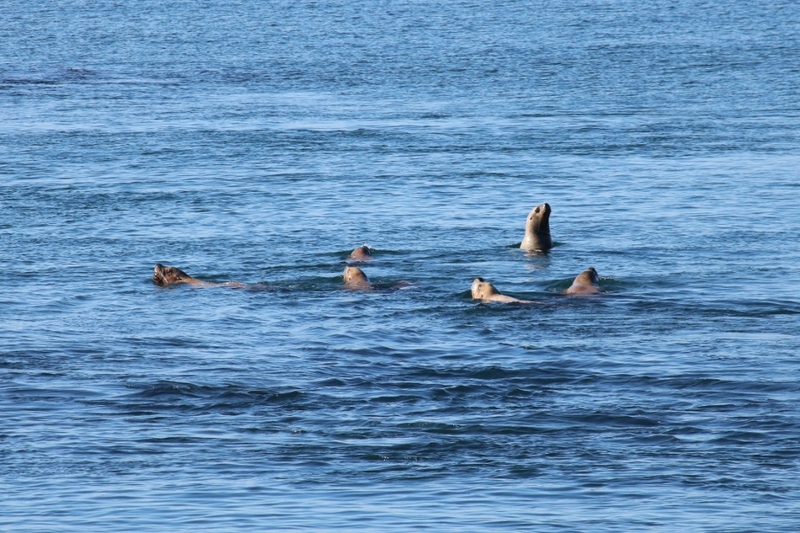 The last 8 were converted to target tugs and operated until 1984). 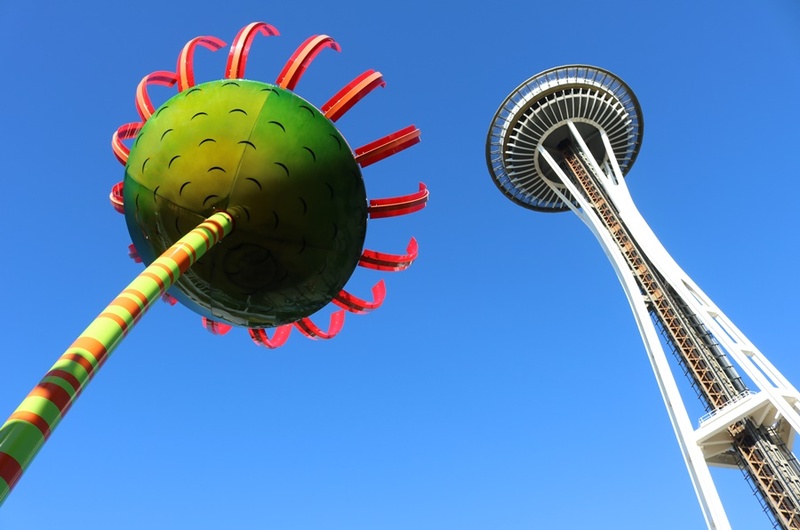 The dependency on the Soviet Union was truly over (for now). 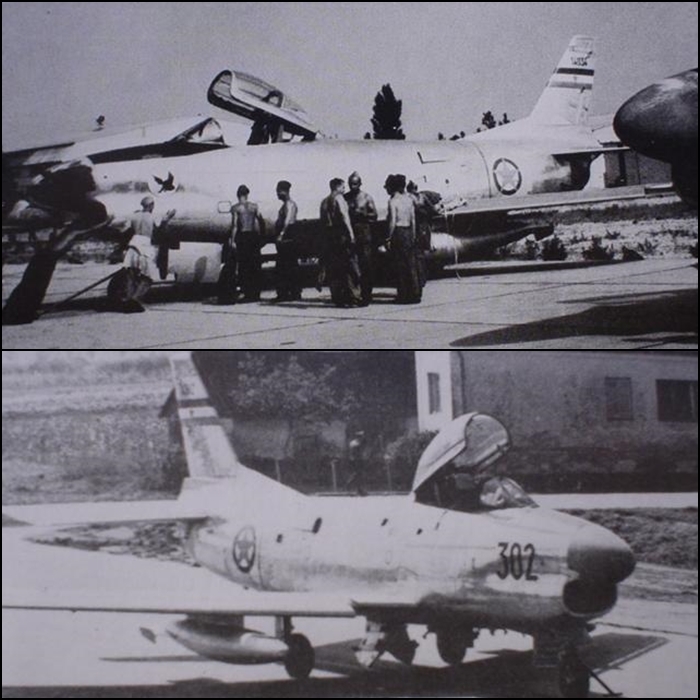 In 1959 the JRV merged with the Yugoslav Army air defence units and was renamed the Yugoslav Air Force and Air Defence (Jugoslavensko Ratno Vazduhoplovstvo i Protivvazdushna Odbrana – JRViPVO). 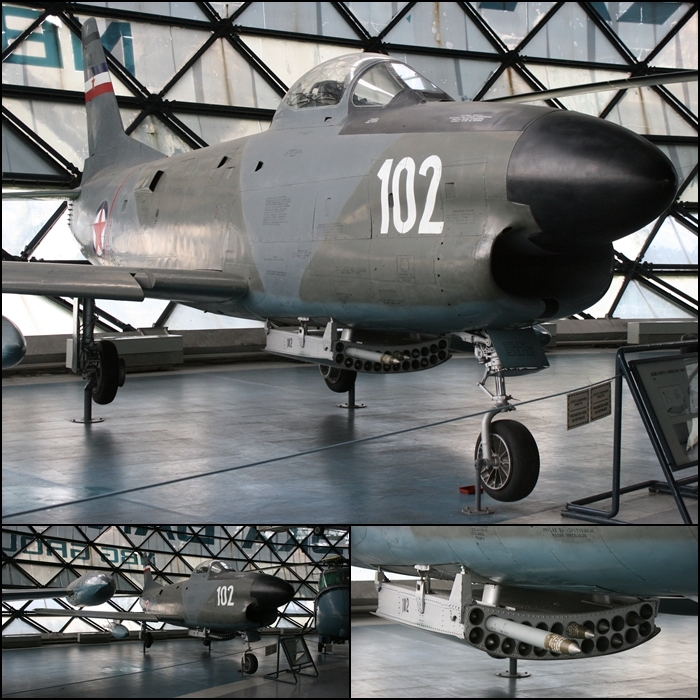 In 1961 Yugoslavia advanced further in their technological capability with the purchase from the United States of 130 North American F-86D Sabre Dog all-weather interceptors capable of a speed of Mach 0.91 and equipped with a nose radar and General Electric J47-GE-17B afterburning engine (ex-USAF examples. 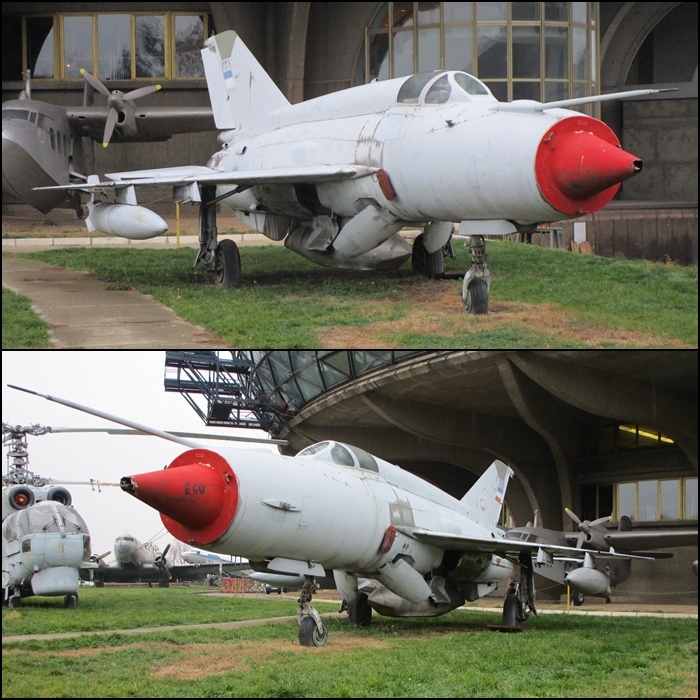 They were known as the “long nose Sabre” to Yugoslav airmen). 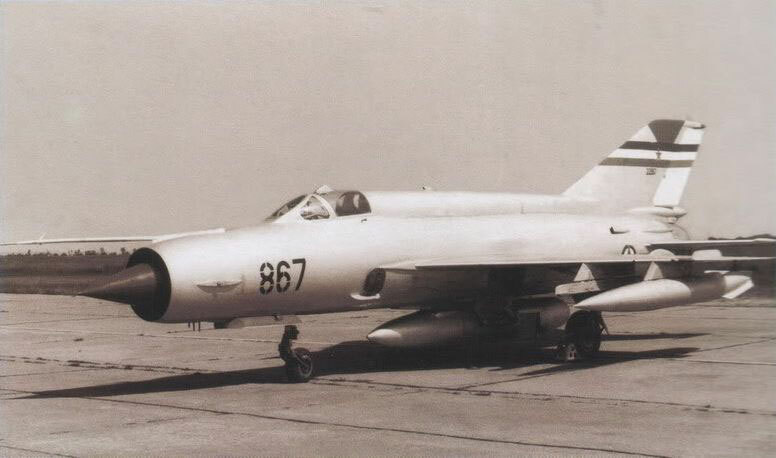 The F-86D was armed with 24 × 2.75 in (70 mm) Mighty Mouse Mk 4 Folding-Fin Aerial Rocket (FFAR) rockets in ventral tray (no gun was fitted and the rockets were intended to shoot down enemy bombers) and the last F-86D was not retired until 1974. By the early 1960’s Yugoslavia began to resume relations on more friendly terms with the Soviet Union which experienced a change from the old Stalinist ways under Soviet Leader Nikita Khrushchev (in power from February 8th, 1955 to October 14th, 1964 he granted re-entry for Yugoslavia into the international association of socialist states). This improved situation lead to a major return to the Soviet Union for the supply of military equipment and particularly modern combat aircraft (Yugoslavia still maintained a non-aligned international status though). 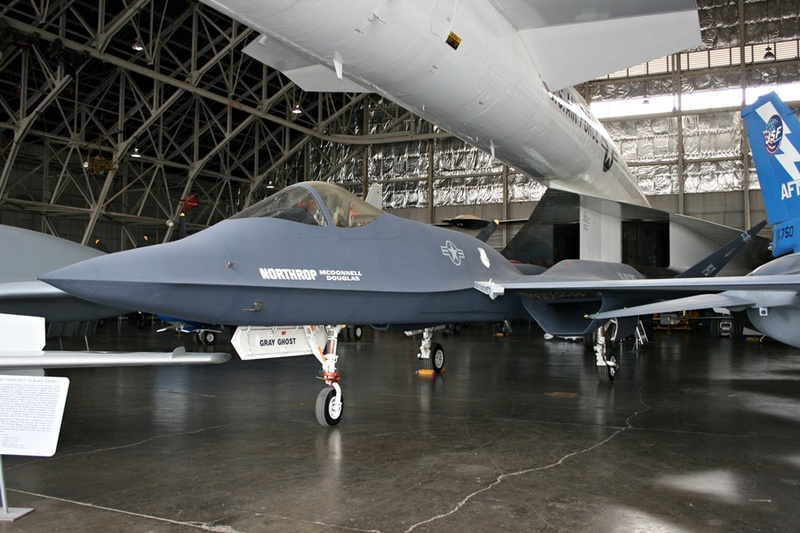 Military purchases from the United States soon dwindled away. 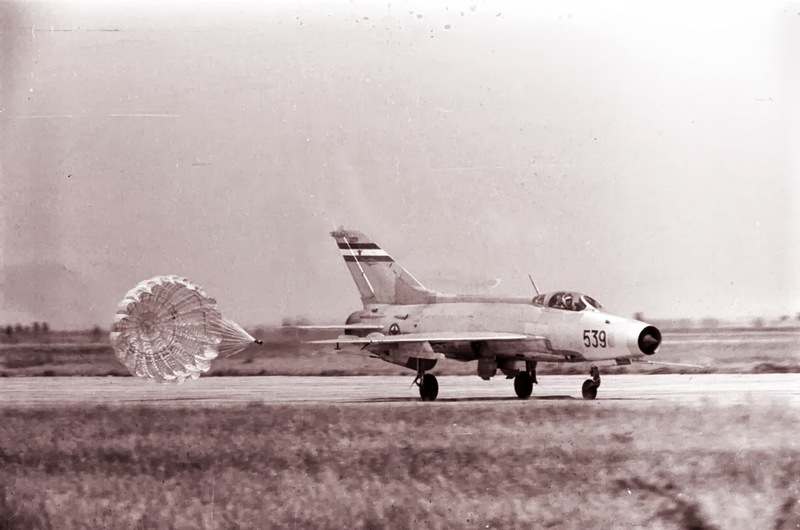 In 1962 Yugoslavia purchased 45 Mikoyan Gurevich MiG-21F-13 Fishbed C all-weather, radar equipped fighters capable of a maximum speed of Mach 2.0 (the last MiG-21F-13 was retired in 1980). 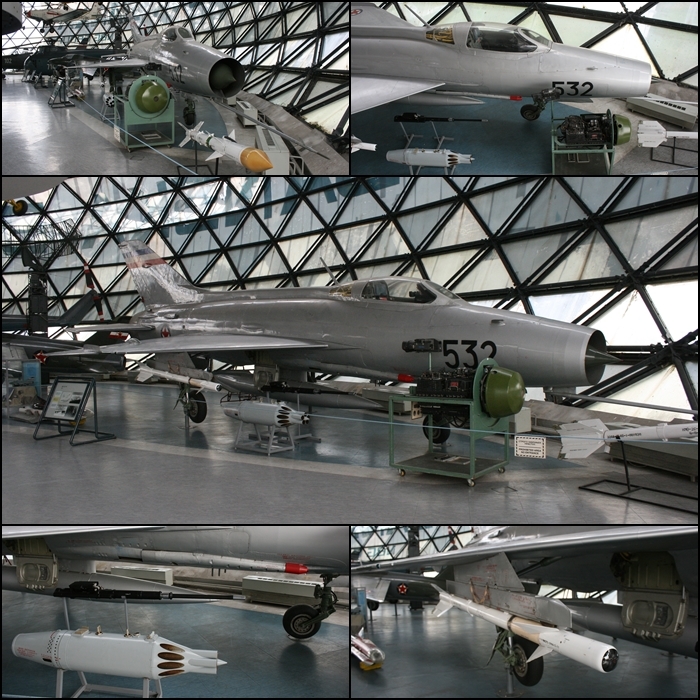 The MiG-21 was the most advanced aircraft Yugoslavia had operated to that point in time. 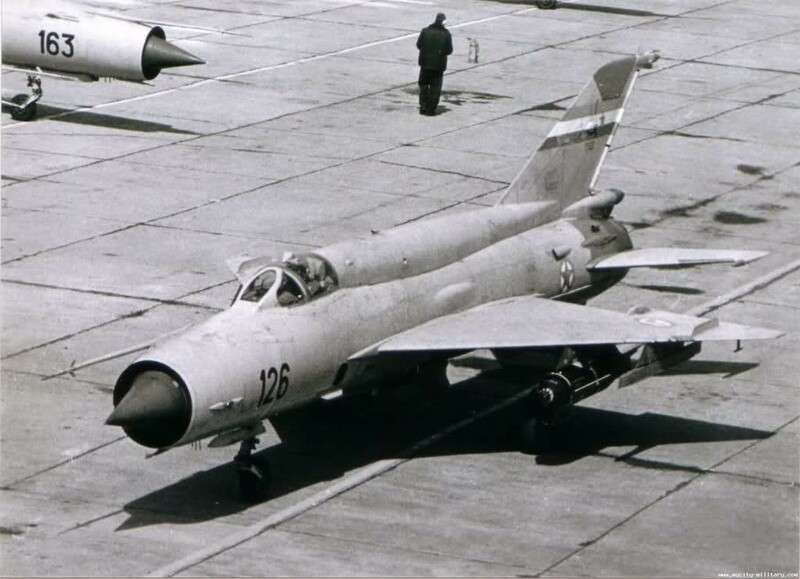 In the following years the Soviet Union became the primary supplier of Yugoslavia’s combat aircraft with the delivery of many variants of the Mikoyan Gurevich MiG-21 Fishbed in the 1960’s and 1970’s. 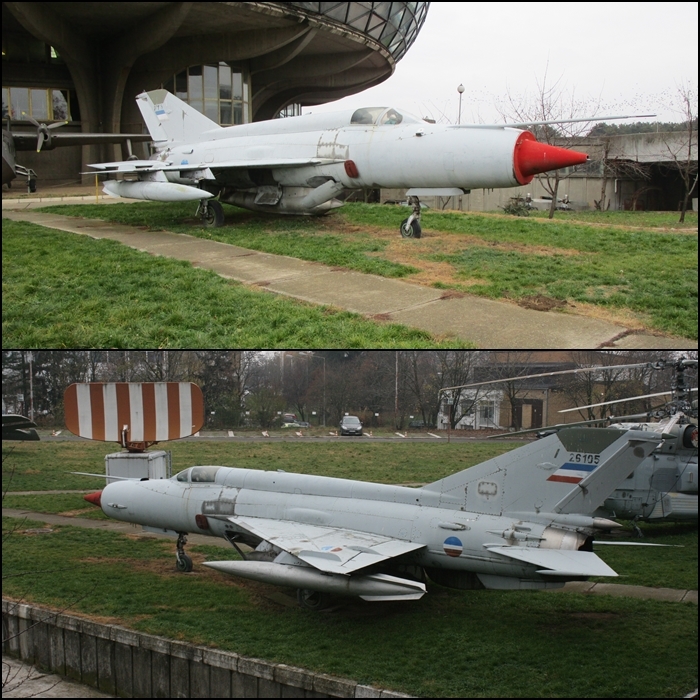 The MiG-21’s would go on to equip the 83rd Fighter Aviation Regiment (123rd and 130th Fighter Aviation Squadrons at Slatina Airbase, Kosovo), 117th Fighter Aviation Regiment (124th and 125th Fighter Aviation Squadrons; and the 352nd Reconnaissance Aviation Squadron at Željava Airbase, Bosnia-Herzegovina – see below for more information), 185th Fighter-Bomber Aviation Regiment (129th Fighter Aviation Squadron at Pula, Croatia) and the 204th Fighter Aviation Regiment (126th, 127th and 128th Fighter Aviation Squadrons at Batajnica Airbase, Serbia). 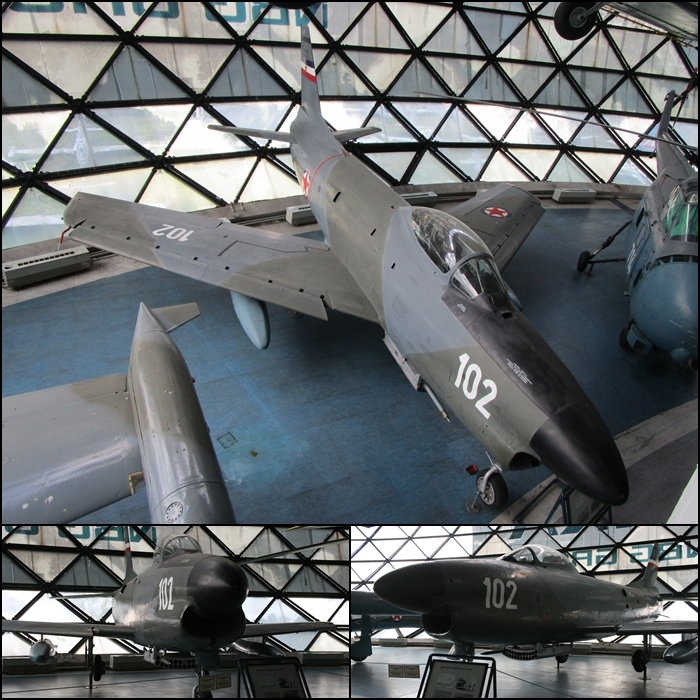 The first MiG-21F-13 fighters were supplemented with 9 MiG-21U Mongol A two-seat trainer variants in 1965 (retired 1991), 36 MiG-21PFM Fishbed F in 1967 (retired 1994), 12 MiG-21R Fishbed H combat-capable reconnaissance aircraft in 1970 (retired by Serbia in 2003), 25 MiG-21M Fishbed J in 1970 (retired 1996), 9 MiG-21US Mongol B two-seat trainer variants in 1969 (retired 1991), 35 MiG-21UM Mongol B two-seat trainer variants in 1970 (some are likely to still be in service with the Serbian Air Force today), 6 MiG-21MF Fishbed J in 1975 (also retired in 1996) and 100 of the definitive MiG-21bis Fishbed L in 1977 (a small number remain in service with the Serbian Air Force today). 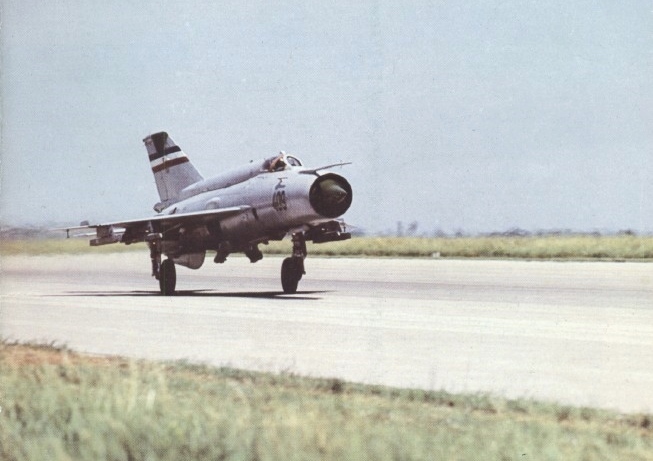 It would be remiss of me to not mention the extraordinary Željava Airbase which was located right on the Croatian and Bosnia-Herzegovina border near the Bosnian city of Bihac. 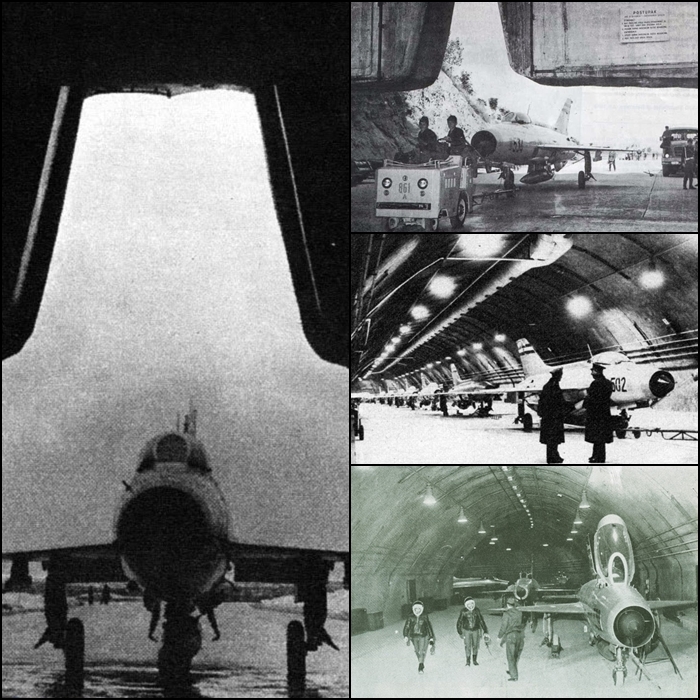 This was not only the largest airbase in the Yugoslavia with 5 runways, it was also built with huge reinforced concrete hangars, control rooms, maintenance facilities, barracks, secured communications systems, water and power facilities etc. 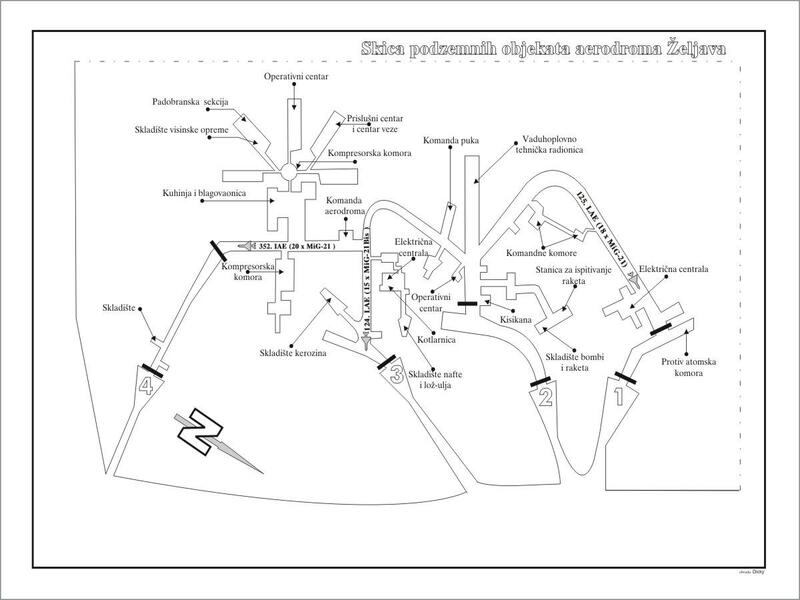 all dug out under Mount Pljesevica. 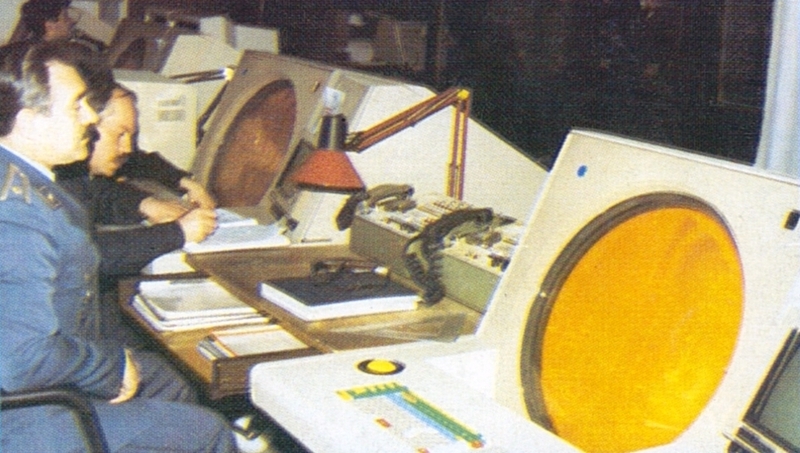 Apart from being an airbase, Željava was also the command centre for a central early warning air defence radar and interception network of Yugoslavia (think NORAD) which was linked to the “Celopek” intercept and surveillance radar atop Mount Pljesevica. 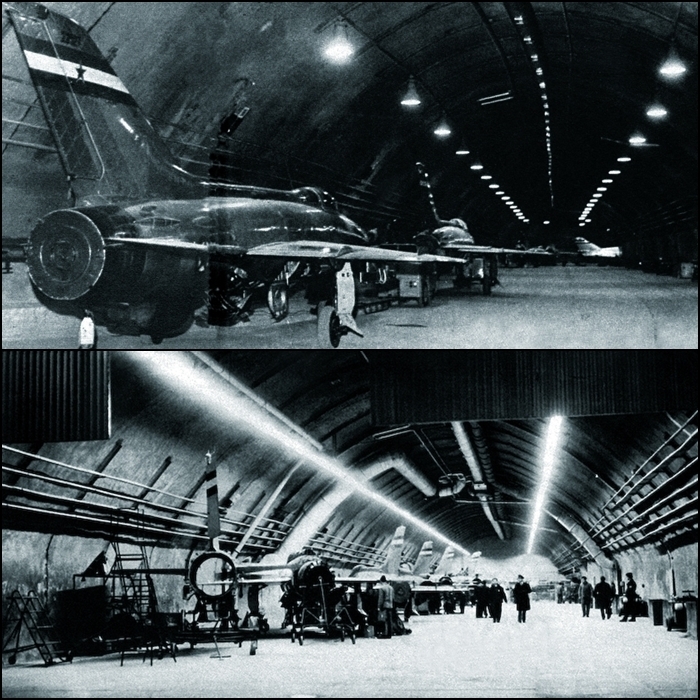 The underground complex “KLEK” had 3.5 kilometres of tunnels (able to hold up to 80 aircraft), four main entrances with massive 100 ton pressurised doors (3 of which were for specially designed for aircraft entry/exit) and was built to withstand a direct hit from a 20 Kiloton nuclear bomb! 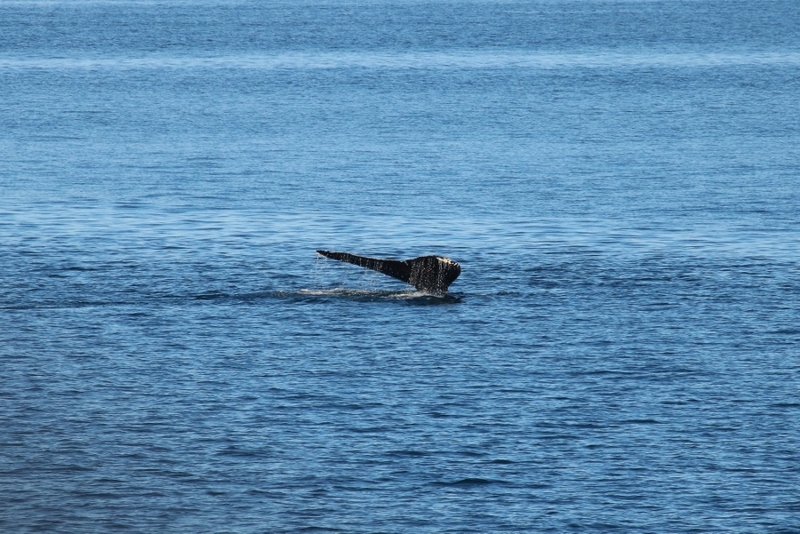 They had sufficient food, water, fuel, equipment, parts etc. 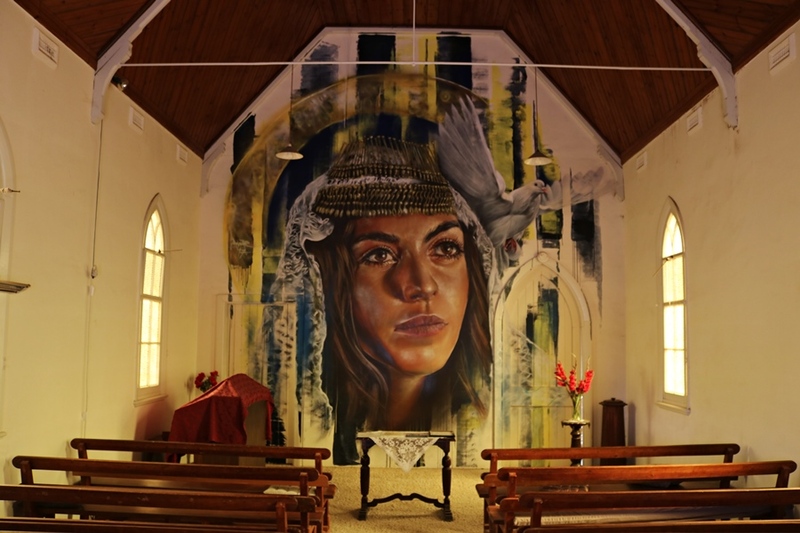 to stay inside the complex for up to 30 days without contact with the outside world. Code-named “Objekat 505”, construction of the airbase started in 1948, the heavy concrete started pouring in 1958 and most of the construction was completed in 1965 at a massive cost with the airbase ready for operational duty in 1968 with the MiG-21 equipped 117th Fighter Aviation Regiment. Apparently the approximate cost of the base was $6 billion and this money came from World Bank funds intended to finance Yugoslav highway construction (said to be one of the most expensive military construction projects in Europe)! Heavily guarded the airbase was ringed by short-range radar and air defence systems including fixed missile sites and mobile 2K12 “Kub” / SA-6 “Gainful” surface to air missile systems. 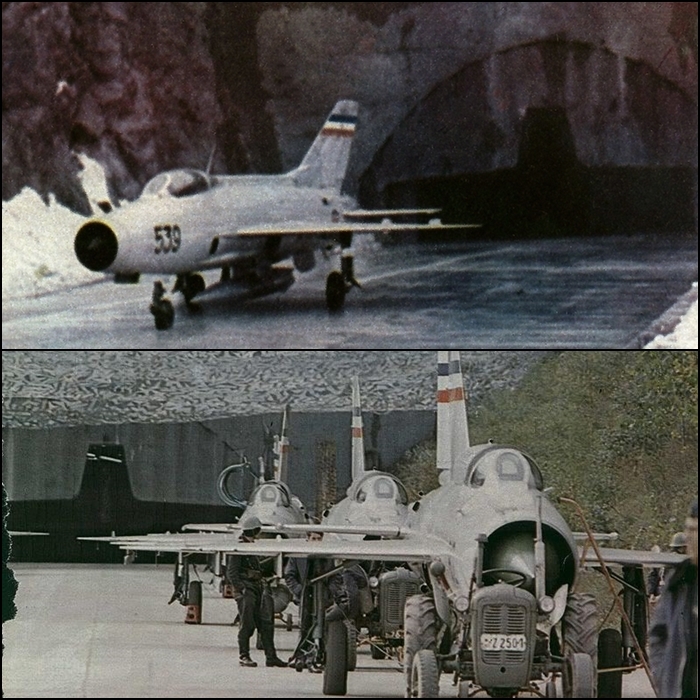 The base would go on to host newer types of 117th Fighter Aviation Regiment MiG-21 aircraft with the 124th and 125th Fighter Aviation Squadrons being equipped with MiG-21bis Fishbed L fighters and the 352nd Reconnaissance Aviation Squadron equipped with the MiG-21R Fishbed H.
The airbase was used by the JRViPVO in 1991 during the Yugoslav Wars before the runway was destroyed by withdrawing Yugoslav Peoples Army, then in 1992 Serbian forces set off further massive detonations with 56 tonnes of explosives to ensure the airbase could not be used by Croatian or Bosniak forces! Today it lays more or less derelict. 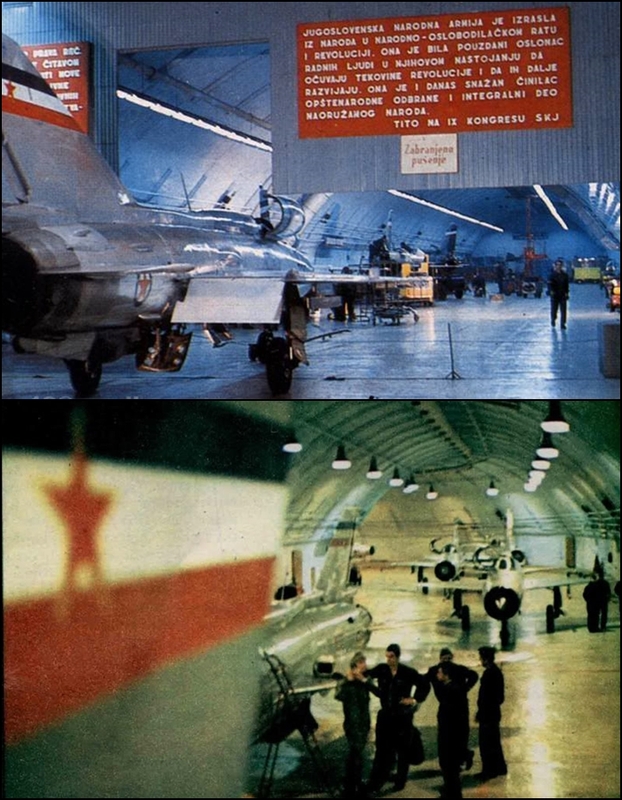 The change of policy back into the Soviet sphere at the height of the Cold War meant that by the 1970’s Yugoslavia could no longer necessarily look to the West for aircraft and spares and most US supplied aircraft were retired by 1974. 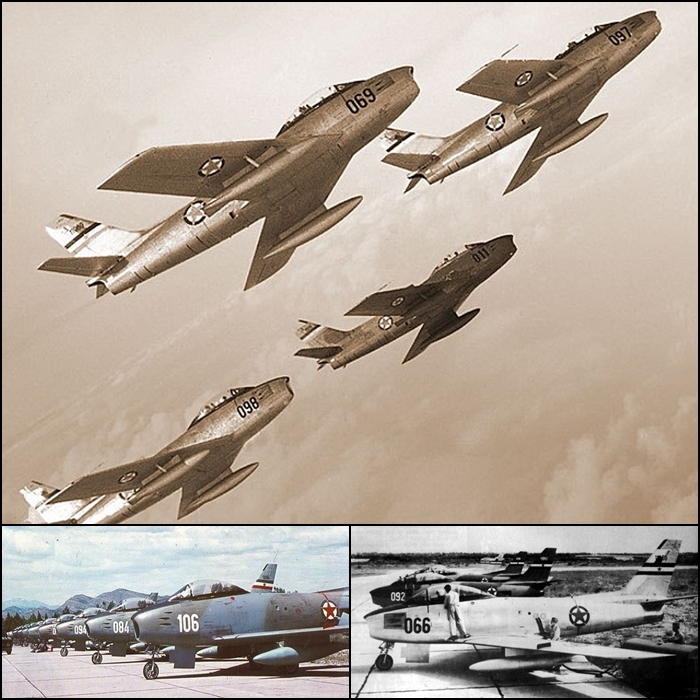 Soviet aircraft were not always suitable to fill this void so the home-grown aviation industry was boosted to develop and supply training and attack jet aircraft to supplement the new Soviet supplied aircraft. 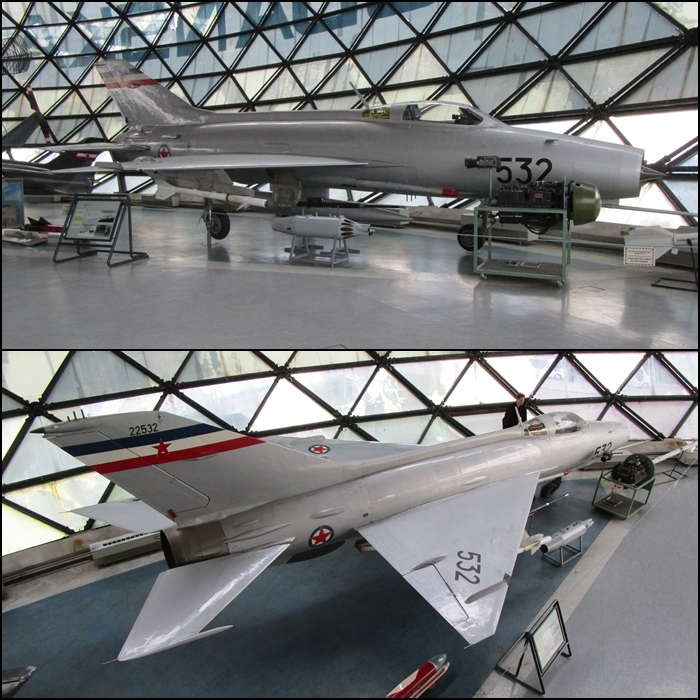 In my next post I will discuss in detail this successful Yugoslav venture into home-grown aviation during the 1960’s and 1970’s. A fascinating series of posts. 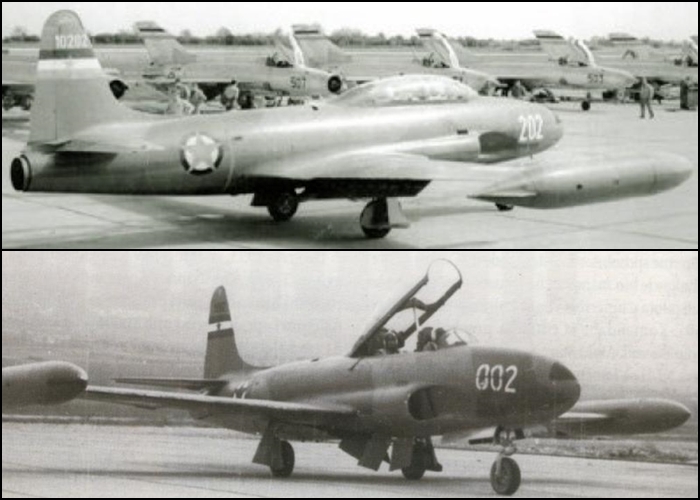 Just looking at the F-84 and T-33, it’s remarkable how similar they are, – virtually identical. One always imagined the Yugoslavs as Russian backed how they managed to remain ‘neutral’ is remarkable. Tito was quite the leader it seems. They do. I really had to look closely to see the differences. This has been a most enjoyable series to follow. 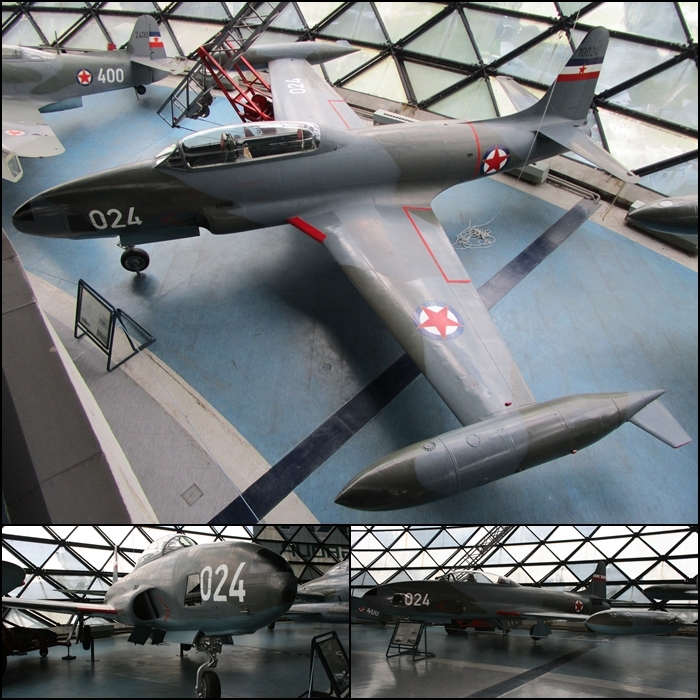 Yugoslav aviation is a fascinating story in its own right that deserves to be told. Another great post. 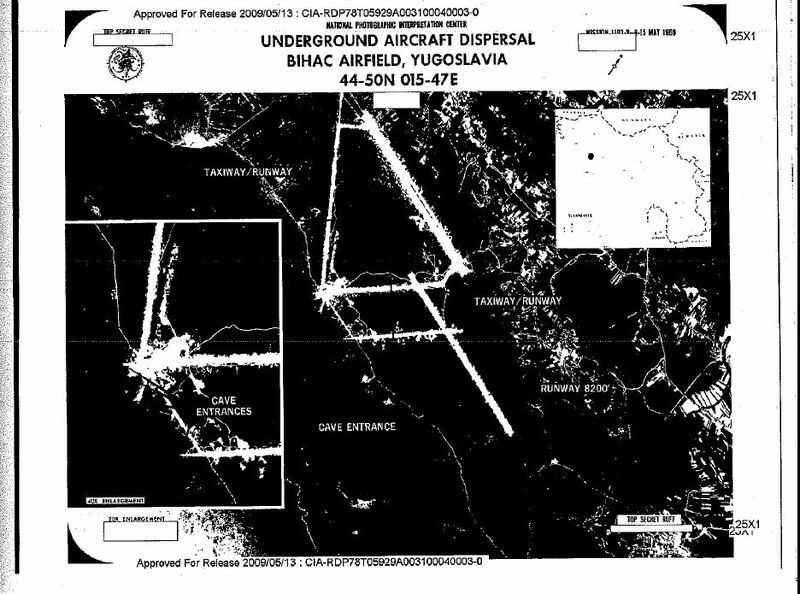 The material regarding the Željava Airbase is icing on the cake. 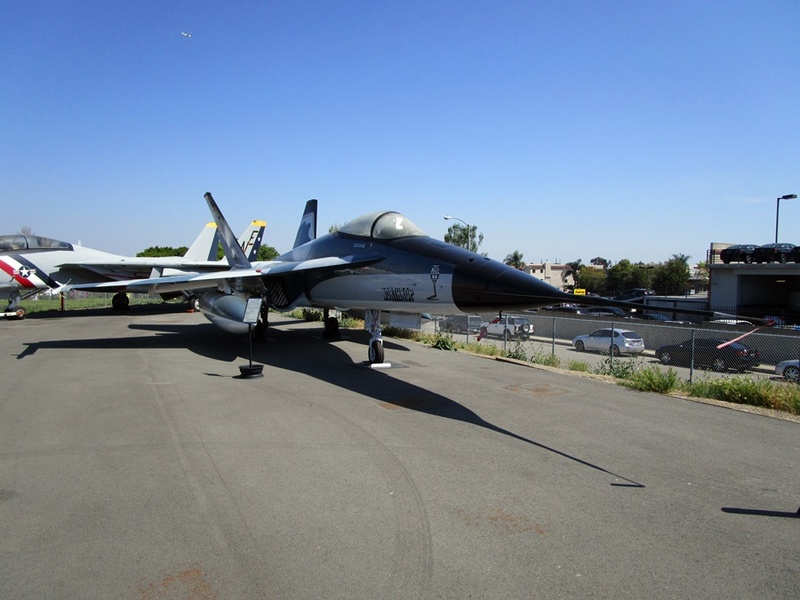 The other was in Slatina Air Base which is now in Kosovo. It was later used by NATO and now by a transport company apparently!